10.00-10.30: Welcome, followed by: Michael Chapman: The Work and Legacy of George Chapman. 10.35-11.35: Marie Addyman: The Two Turners. The cost of this event will be £5 per person, including coffee, and payable on the day, however, booking before the event is essential. Would you like to join the Science Museum’s curatorial team, contributing to the development of major new permanent galleries? We are looking for motivated individuals who have worked on diverse teams in an administrative capacity, with experience of working confidently with historical artefacts, catalogues and collections in a museum or gallery setting. Under direction, you will be able to take responsibility for object-related logistics in the development of the Science Museum’s new Medicine Galleries, expected to open in 2018. You will also support gallery content development and delivery. Previous collections experience, including handling and assessing objects, documentation and cataloguing is essential. Your attention to detail and ability to juggle a complex workload under time pressure will be second to none as you keep track of several hundred exhibits in a fast-paced project team. Experience of working with collections databases would be a distinct advantage. IT fluency is essential. You will be self-motivated and able to work effectively within a team, and you will be comfortable communicating with a range of people including colleagues at all levels, contractors, consultants and external stakeholders. You will be willing and able to take on a wide variety of routine administrative curatorial tasks. The Science Museum Group (SMG) comprises the Science Museum in London, the Museum of Science and Industry in Manchester, the National Railway Museum in York and Shildon and the National Media Museum in Bradford. Together they share a unifying mission to engage people in a dialogue about the past, present and future of human ingenuity in the fields of science, technology, medicine, transport and media. Candidates should be available to take up the post by August/September 2014. To help us monitor the effectiveness of our recruitment campaigns please can you update your details on the “My Details” section. This information will be used for monitoring purposes only and will be treated as strictly confidential. When you apply you will be asked to upload a covering statement in Microsoft Word format (the document must be in .doc .docx .txt or .pdf format and the maximum file size is 2 MB). You are advised to prepare this document in advance of making your application online. In your covering letter, which should not be more than two pages long, you are asked concisely to highlight how your experience directly relates to the requirements of this role. Please focus only on the experience you consider to be most relevant to this role. The Assistant Curator supports the Lead Curator and the Client Project Manager of the Medicine Galleries Project by taking responsibility for the object-related logistics and by supporting content development and delivery, in both cases taking direction from and reporting progress to the Lead Curator or the Client Project Manager as appropriate. Researching and cataloguing objects to support content development and label-writing, and drafting label text or other gallery content where appropriate. Take care of personal health and safety and that of others and reporting any health and safety concerns. Ensure proactive compliance with Science Museum Group H&S Policies, including risk assessments and implementing safe systems of work. Experience of working successfully on a diverse team administrative capacity. Experience of communicating historical subjects to non-specialist audiences, for example in exhibitions, articles, outreach or teaching. Research and writing skills across a variety of media, including web. Team Working - Good team worker who demonstrates and encourages positive approaches, seeks to resolve issues and conflicts, focuses on win-win outcomes, actively champions the team; motivates others and enthusiastically shares knowledge & expertise. This job description is not exhaustive and amendments and additions may be required in line with future changes in policy, regulation or organisational requirements, it will be reviewed on a regular basis. 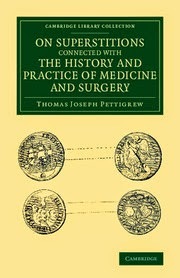 The surgeon Thomas Pettigrew (1791-1865) was interested in all aspects of antiquity, and gained fame in London society through his mummy-unwrapping parties. (His History of Egyptian Mummies is also reissued in the Cambridge Library Collection.) His interest in the early history of medicine is evidenced by this work, published in 1844, which describes the various forms of superstition which the science of medicine had always attracted since ancient times. Pettigrew considers alchemy and astrology, and the use of talismans, amulets and charms, as well as the history of Egyptian, Greek and Roman medicine, and some modern developments, including 'sympathetical cures' and the rejoining of severed fingers and ears. A chapter is devoted to the belief in the efficacy of the 'royal touch' against the King's Evil (scrofula), and another to the seventeenth-century faith healer Valentine Greatrakes, of whose alleged cures Pettigrew takes a robustly sceptical view. Wissenschaft, Technik und Medizin sind wesentlich von der Kategorie Geschlecht durchdrungen und formen umgekehrt auch Geschlecht. Dass Gender als Perspektive und Analysekategorie zur historischen Untersuchung von Wissenschaft, Technik und Medizin unabdingbar dazugehört, ist nach einer ausgeprägten feministischen Wissenschafts- und Technikforschung der 1980er und 1990er Jahre Konsens. Die einschlägigen Werke etwa von Sandra Harding, Londa Schiebinger oder Donna Haraway zählen seitdem zu Klassikern. Zugleich jedoch lässt sich feststellen, dass Gender derzeit nur in wenigen Forschungsarbeiten der deutschsprachigen Wissenschafts-, Medizin- und Technikgeschichte systematisch analysiert wird. Demgegenüber scheinen die Gender Studies jenes Feld zu sein, innerhalb dessen neue und vielversprechende Ansätze der Genderanalyse und neue Positionen erarbeitet, diskutiert und weiterentwickelt werden (z.B. Intersektionalität, Männlichkeitenforschung, Queer Studies). Interessierten offen, die sich über aktuelle Genderstudien und -debatten im Bereich der Geschichte von Wissenschaft, Medizin, Technik und Körper austauschen möchten. Die Bereitschaft, möglicherweise einen Kommentar zu einem Arbeitspapier zu übernehmen, sollte bestehen. Als KommentatorInnen und MitdiskutantInnen fungieren neben den TeilnehmerInnen Christine von Oertzen, Sabine Schleiermacher, Heiko Stoff, Christine Wolters, Karin Zachmann sowie Heike Weber (Organisatorin). Der Workshop findet am Fr., 10. Okt., 14 bis 18 Uhr, und Sa., 11. Okt., 9 bis 13 Uhr statt; der Veranstaltungsort wird im Juli bekanntgegeben. Für jeden Beitrag werden ca. 45 Min. (inkl. Diskussion; max. 20 Min. Präsentation) zur Verfügung stehen; ein breites Spektrum an Themen und Epochen ist erwünscht. Am Abend (10. Okt.) besteht ausserdem die Möglichkeit, die Arbeit der Arbeitsgruppe Mittelbau der Medizin-, Technik- und Wissenschaftsgeschichte kennenzulernen. Präsentationswunsches ein kurzes Exposé (ca. 400 Wörter) per Mail an hweber@uni-wuppertal.de einzureichen. Das spätere Papier (4-5 Seiten) sollte bis zum 15. Sept. 2014 vorliegen. Der genaue Programmablauf richtet sich nach den Einsendungen und wird Ihnen, zusammen mit den eingereichten Arbeitspapieren, zeitnah bereitgestellt. Die DGGMNT ermöglicht TeilnehmerInnen ohne Reiseetat die Erstattung oder zumindest eine Beihilfe zu den Übernachtungs- und Reisekosten (BC 50, 2. Klasse). Hierzu sollten Sie Ihrer Anmeldung einen entsprechenden Hinweis mit Angabe des Anreiseorts beifügen. Für Rückfragen wenden Sie sich bitte an Heike Weber, hweber@uniwuppertal.de. Die Veranstaltung dient der Deutschen Gesellschaft für die Geschichte der Medizin, Naturwissenschaft und Technik e.V. (DGGMNT) als Pilotprojekt, um eine neue Workshop-Reihe zu initiieren: Unter dem Titel „Junge Perspektiven“ soll jungen WissenschaftlerInnen ein Rahmen zur Verfügung gestellt werden, um aktuelle Ansätze und Forschungen untereinander sowie im Austausch mit bereits etablierten ForscherInnen zu diskutieren. Ziel ist die Verständigung über innovative Themen ebenso wie die Vernetzung untereinander sowie auch ein informelles, konstruktives Mentoring. Vorschläge und Initiativen für solche Nachwuchsworkshops können und sollen frei aus dem Mitgliederkreis kommen. 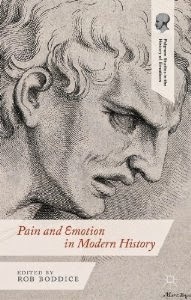 Pain and Emotion in Modern History is a rich exploration of the affective expression of pain, the emotional experience of pain, and the experience of others' pain as pain. Drawing on the expertise of historical, literary and philosophical scholarship, practising physicians, the medical humanities, and conceptual artists, this is a true interdisciplinary collaboration, styled as a history. It explores pain at the intersection of the living, suffering body, and the discursive cultural webs that entangle it in its specific moment. This volume goes beyond the typical spaces and parameters of pain, from the operating theatre to the waiting room; from the moment of birth to its anticipation and aftermath; from the body in pain to the body in a culture of pain. Most importantly, it moves from the narrowly physical to the broadly emotional, enabling the enrichment of the medical history of pain, as well as setting a new agenda for medical history. Nous vous attendons à partir de 9h00 autour d’un café d’accueil. 9h30 : Humanisation des hôpitaux : que de progrès ! 16h15 : Une cosmétologie radioactive ! Depuis une douzaine d’années, plusieurs fouilles archéologiques dans les Alpes françaises du Nord ont révélé la présence de macrorestes végétaux, dont de nombreuses graines carbonisées de plantes sauvages et cultivées. Cet ouvrage présente l’étude des vestiges botaniques (ou carpologie) de quatre sites alpins. Il s’agit en Isère, de l’abri-sous-roche de la Grande-Rivoire dans le Vercors et de l’abri-sous-bloc ALP 1 dans la Chartreuse ; en Savoie, du site de plein air du Chenet des Pierres en Tarentaise et de la grotte des Balmes en Haute-Maurienne. Ce livre a pour but de montrer comment les communautés humaines, il y a plus de 6000 ans, tiraient profit de leurs ressources végétales, cultivées ou sauvages, pour subvenir à leurs besoins. Dans cette région aux biotopes variés et étagés, les céréales constituent la base de l’alimentation humaine, et sont probablement cultivées en altitude. La cueillette est pratiquée sur un large territoire, couvrant plusieurs étages de végétation. L’analyse carpologique de niveaux de bergerie nous permet de comprendre la façon dont les Hommes géraient les ressources végétales pour l’entretien du bétail. Plusieurs taxons, comme les céréales, le sapin, le gui et l’if sont reconnus pour leur usage vétérinaire et sanitaire. 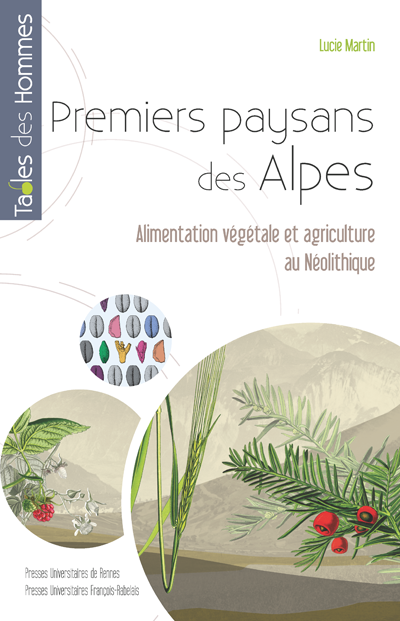 Enfin les données carpologiques contribuent à la compréhension de la fonction et de l’occupation des sites au sein du territoire alpin, ceci en fonction de la production et/ou de la consommation de plantes cultivées, d’un apport de la plaine ou encore de l’importance de la cueillette. Dans ce dossier thématique et pluridisciplinaire de Philosophia Scientiæ dédié à la circulation des savoirs dans le cadre des échanges euro-méditerranéens, nous nous proposons de tenter de comprendre comment se sont constitués ces savoirs. Comment ont-ils circulé et comment ont-ils été reçus / perçus en Europe et dans l’espace euro-méditerranéen ? Quels sont les lieux où ces échanges se sont produits ? Quelles sont les figures emblématiques porteuses de ces échanges ? Quels sont les moments de rupture épistémologique et d’innovation paradigmatique ? Peut-on parler aujourd’hui d’un savoir « euro-méditerranéen »? Quel est le rôle de la mémoire collective et des valeurs liées à ces héritages intellectuels, techniques et artistiques ? Comment créer un espace de partage qui relierait ces héritages culturels communs ? Tout en combinant différentes méthodologies, ce dossier tentera de proposer une vision renouvelée des ces échanges et de leurs héritages. Plus précisément, il s’agira d’une part de revisiter les lignes de force qui ont structuré les évolutions socio-historiques de cet espace, sous l’angle de nouvelles problématiques qui redéfinissent par exemple le concept de culture et qui repensent ces évolutions à la lumière des récents événements. D’autre part, il nous faudra examiner la perception réciproque que l’Orient et l’Occident ont l’un de l’autre pour aborder ensuite les différentes formes d’appropriations collectives et les nouvelles préoccupations qui tendent à se structurer autour d’un espace partagé de la connaissance et des savoirs. Les manuscrits doivent être soumis, en anglais, en français ou en allemand, et préparés pour une évaluation anonyme. Un résumé en français et un résumé en anglais (200-300 mots) doivent être inclus. La longueur des articles est limitée à 50.000 caractères (espaces et notes comprises). Philosophia Scientiæ est une revue scientifique à comité de lecture qui publie des travaux en épistémologie, en histoire et en philosophie des sciences, et en philosophie analytique. Elle accueille notamment des études traitant des mathématiques, de la physique et de la logique, mais elle est ouverte aux travaux portant sur les autres disciplines scientifiques. Elle est publiée aux éditions Kimé (Paris). Pour toute information supplémentaire (anciens numéros, consignes aux auteurs, résumés), merci de consulter le site de la revue : http://poincare.univ-nancy2.fr/PhilosophiaScientiae/Accueil/ ouhttp://philosophiascientiae.revues.org/. The eruption of Mount Vesuvius in 79 CE buried the Roman cities of Pompeii and Herculaneum under feet of ash and pumice. Objects under the volcanic material were found to be well preserved when they were excavated centuries later. Among the artifacts recovered were surgical instruments from multiple sites, the best known being Pompeii’s House of the Surgeon, so named because of the nature of the items recovered there. In 1947, reproductions of these instruments were presented to the Claude Moore Health Sciences Library by the University of Virginia’s 8th Evacuation Hospital after its service in Italy during World War II. The collection is one of the best surviving examples of the tools at a surgeon’s disposal in the first century CE. Since there was relatively little innovation in surgery and surgical tools from the time of Hippocrates (5th century BCE) and Galen (2nd century CE), this collection is typical of surgical practice for nearly a millennium and illuminates the practice of medicine in ancient Rome. 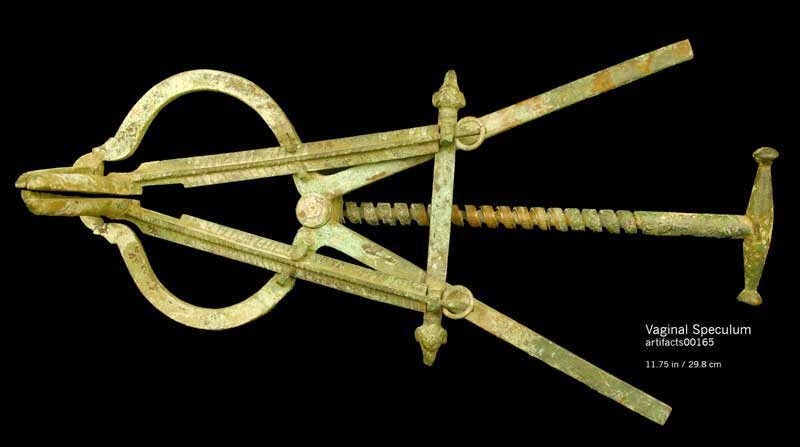 In fact, the technology of some tools, such as the vaginal speculum, did not change significantly until the 20th century. The following display presents images and summaries of the known uses of each instrument. The extant comments of medical writers from antiquity–including Oribasius, Galen, Soranus, Aetius, and the Hippocratic corpus–have provided scholars with some clues about the use of some instruments. Some instruments, such as mixing instruments and tweezers, probably had other household uses, such as the application of cosmetics and paints. The Australian Research Council Centre of Excellence for the History of Emotions (CHE) is a major research initiative with the lead organisation The University of Western Australia, and spread across four other Australian universities, one of which is The University of Melbourne. CHE fosters collaboration between researchers and industry partners from different disciplines and institutions across Australia and internationally. In collaboration with the School of Historical and Philosophical Studies, University of Melbourne, the Centre seeks to appoint a postdoctoral research fellow to contribute to research projects in the history of emotions (Europe, 1100-1800). 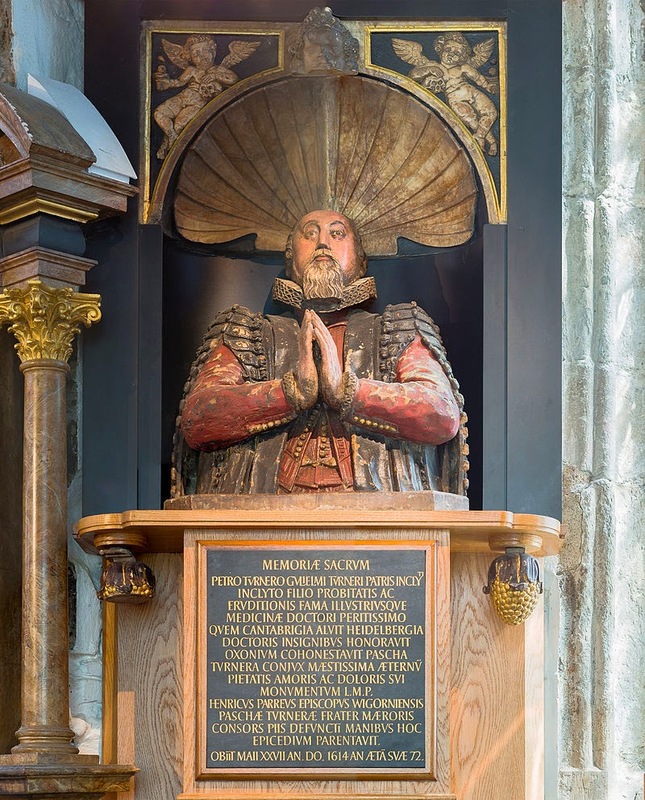 Working together with Professor Charles Zika the successful candidate will develop a project exploring the field of emotions and visual culture, c.1450–1750. The project might focus on such topics as: the impact of religious and political change on the emotional deployment of visual objects in the devotional, ceremonial and festive life of European communities; the passions of iconoclasm as a motor of religious, social or political change; the emotional rhetoric of visual media in advancing propaganda and polemic, legitimating religious and political authority, or stereotyping religious, ethnic or social groups; the emotional use and power of the visual in the missionizing and colonizing of societies, within Europe or abroad. In addition to publishing his or her own research in this area, the Fellow will collaborate in publications and be involved fully in the life of the Centre. The Fellow will also assist with the co-ordination of relevant symposia and engage in public outreach. There will the opportunity to be involved in research and activities related to an exhibition on art and emotion to be held at the National Gallery of Victoria in 2017. There is an expectation that the postdoctoral fellow will be involved in some Honours/ postgraduate supervision or teaching, but this is primarily a research-only position. Benefits include 17% superannuation and generous leave provisions; generous funds for research travel; contribution to relocation expenses. These and other benefits will be specified in the offer of employment. The successful applicant would commence the appointment on 1 December 2014, or as soon as possible after that date. Drugs are considered to be healers and harmers, wonder substances and knowledge makers; objects that impact on social hierarchies, health practices and public policies. 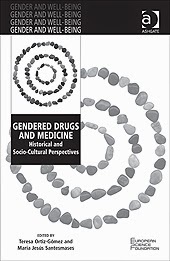 As a collective endeavour, this book focuses on the ways that gender, along with race/ethnicity and class, influence the design, standardisation and circulation of drugs throughout several highly medicalised countries. Seventeen authors from eight different countries -- both European and non-European -- analyse the extent to which the dominant ideas and values surrounding masculinity and femininity shape the research, prescription and use of drugs by women and/or men within particular social and cultural contexts.New and lesser-known, gender-specific issues in lifestyles and social practices associated with pharmaceutical technologies are analysed, as is the manner in which they intervene in life experiences such as reproduction, sexual desire, childbirth, depression and happiness. The processes of prescribing, selling, marketing and accepting or forbidding drugs is also examined, as is the contribution of gendered medical practices to the medicalization and growing consumption of drugs by women. Gender relations and other hierarchies are involved as both causes and consequences of drug cultures, and of the history and social life of gender in contemporary drug production, use and consumption. A network of agents emerges from this book's research, contributing to a better understanding of both gender and drugs within our society. 3-­year Doctoral Fellowship on "Globalizing schizophrenia"
CERMES3 announces a 3-year full-time doctoral fellowship (2014-2017) financed through the European Research Council project GLOBHEALTH, “From international to global: Knowledge and diseases and the post-war government of health”. The PhD is to be defended at EHESS Paris. This doctoral research should centre on a critical history of the development of international research on schizophrenia and other severe mental disorders and the central role of WHO, including but not limited to its 25-year international research programme on schizophrenia. These studies yielded highly contested findings on the course of schizophrenia but also contributed to the development of standardized diagnostic definitions and instrumentation, in the absence of biomarkers; the feasibility of psychiatric epidemiological methods; and a better integration of psychiatry with other medical disciplines. The project will also examine the more recent history in which schizophrenia has been targeted in global health through new alliances, the incorporation of mental health by NGOs, the development of metrics such as the Global Burden of Disease, the linkages with pharmaceutical markets, and the expansion of mental health in health and human rights. Finally the research should focus on both the WHO view of studies on the changing understanding of the countries in which research sites existed. The doctoral project falls under the domain “Placing mental health on the world health agenda: the globalization of a refractory problem one of four to be examined by the ERC project GLOBHEALTH. The PhD project will be located at CERMES3, Villejuif/Paris, but will involve research in Geneva (WHO) and other sites, possibly in Africa or Asia. Supervision will be offered by Jean-Paul Gaudillière (historian) and Anne Lovell (medical anthropologist). Applicants should hold a Masters’ Degree in anthropology or history, but other disciplines will be considered. Some background and interest in mental health, psychiatry, pharmaceuticals or public health is an asset. Good oral, reading and writing skills in English are required; some knowledge of French is preferable. dissemination and a timeline for a 3 year project period. -­‐ one sample of writing that applicant deems relevant to the project. -­‐ names and contact details of two persons who can be approached for references.
! Information on CERMES3 is available through http://www.cermes3.fr.
! Description of the ERC project is accessible through http://globhealth.vjf.cnrs.fr. The complete application is to be sent to gaudilli@vjf.cnrs.fr and beaudevin@vjf.cnrs.fr. Please indicate “Globalizing Medical Genetics - GLOBHEALTH” in the subject line. 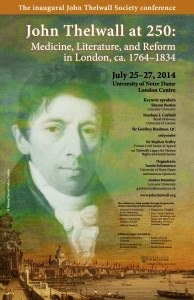 The deadline for applications is July 15th, 2014. The selection will be completed at the end of July 2014 and the successful candidate is expected to be employed by the end of October 2014. Éditions, transcriptions et traductions par Jacqueline Vons et Stéphane Velut. 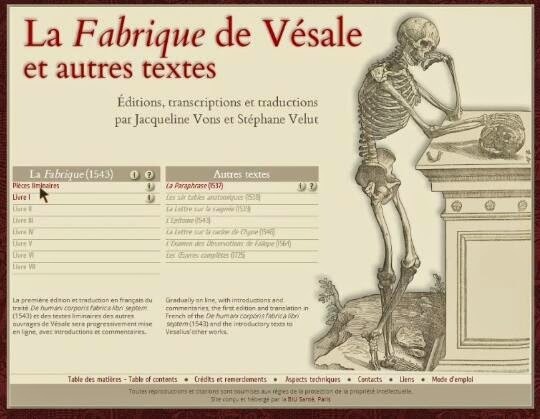 La première édition et traduction en français du De humani corporis fabrica et des textes liminaires des autres ouvrages de Vésale, réalisée par Jacqueline Vons et Stéphane Velut. D’ores et déjà en ligne : les textes liminaires de La Fabrique ; son livre I ; les textes liminaires du premier livre de Vésale, la Paraphrasis in nonum librum Rhazae. Introductions en français et en anglais, par Jacqueline Vons, Stéphane Velut, Maurits Biesbrouck et Omer Steeno. André Vésale fut le plus grand des anatomistes de la Renaissance. La Fabrique du corps humain (1543) a transformé les connaissances sur l’anatomie humaine. C’est aussi l’un des grands livres d’images de l’époque, et son influence sur la représentation graphique du corps s’est étendue sur les siècles suivants. Grant Activity: Conduct research at the Sigmund Freud Foundation in Vienna and teach between one or two courses or seminars on a topic related to the research project at a Viennese host institution. Applicants should explain why their research needs to be conducted in Vienna. Details of teaching assignment are to be arranged by the Sigmund Freud Foundation and the Austrian Fulbright Commission in consultation with grantee. Comments: Applicants must solicit a letter of invitation from the Sigmund Freud Foundation by submitting a curriculum vitae and research/lecturing proposal. Grantee will have a workstation in the library of the Sigmund Freud Museum. Visit http://www.freud-museum.at for more information about the Freud Museum. Contact person: Dr. Daniela Finzi, Research, Sigmund Freud Foundation, Berggasse 19, A 1090 Vienna; ph. +431 319 15 96 0; fax: +431 317 02 79; e-Mail: office@freud-museum.at. Since its founding in 1957, the World Federation of Neurology (WFN) has been deeply integrated in the development of international collaboration in the field of neurology, and has played a key part in asserting with dissemination of information and the need to learn from each other, independent of political systems, but with a basis in the development of democracy worldwide. This book covers the history of the WFN from its founding in Brussels in 1957 to the present day. Written by a former President and long-standing officer of the WFN, The History of the World Federation of Neurology chronicles the formation and expansion of the WFN, the development of its structure and various committees, and the evolution of its global biennial meeting, the World Congress of Neurology. Sections of the text focus on the key neurologists involved in the development of the WFN, including Houston Merritt, Pearce Bailey Jr, and Ludo van Bogaert, to name but a few, as well as the history of its educational publications, including World Neurology and Journal of the Neurological Sciences. Un malade qui s’ignore, un médecin qui guérit. Les représentations de la médecine dans les revues de l’Entre-deux-guerres en France. co-dirigée par Hélène Gispert (Université Paris Sud 11, EST, G.H.D.S.O.) et Nathalie JAS (INRA, unité RITME). Elle se déroulera le 1er juillet 2014 à 13H sur le site de l’Université Paris Sud 11 Orsay, à la Bibliothèque (bat. 407, rue du Doyen-Poitou 91405 Orsay cedex). L’objet de cette thèse est l’étude des représentations de la médecine dans la France de l’Entre-deux-guerres. Elle tente d’apporter un nouvel éclairage sur la médecine de l’Entre-deux-guerres en retrouvant et caractérisant des représentations de la médecine et en en montrant la diversité, par l’analyse des revues de vulgarisation qui ont la propriété d’avoir été très peu étudiées alors même que ce sont des média encore très présents dans la France de l’Entre-deux-guerres. Deux revues de vulgarisation scientifique populaire, deux revues de haute vulgarisation scientifique, deux revues politiques et littéraires et une revue professionnelle médicale ont été analysées suivant une approche qualitative qui permette la prise en charge et la comparaison de ces revues très diverses par leurs formats, leurs contenus, leurs auteurs et les publics visés. Cette approche a notamment pour caractéristique l’adaptation aux particularités de chaque revue et de porter une attention particulière à leur matérialité. Au-delà d’une diversité de représentations se dessine l’image d’une médecine puissante, variée et inventive, dont la puissance est assurée grâce aux sciences physiques et au recours à une Nature maîtrisée voire artificialisée. L’image du patient est celle d’un patient infantilisé et de facto ignorant qui a besoin en tout instant de l’expertise ou du savoir du médecin. Au-delà de sa contribution à l’histoire de la médecine de l’Entre-deux-guerres, en dégageant des discours et des modalités d’administration de la preuve spécifiques à certaines revues ou groupes de revues, la thèse apporte aussi des éléments à l’histoire de chacune des revues et à l’histoire des revues de vulgarisation de la France de l’Entre-deux-guerres. La soutenance sera suivie d’un pot qui aura lieu dans les locaux du G.H.D.S.O. (bâtiment mitoyen) et auquel vous êtes chaleureusement invités. Pour en faciliter l'organisation, merci de me signaler votre présence. La manière dont les Hommes se sont exercés, divertis et ont pratiqué des activités sportives est intimement liée aux grandes transformations qui se sont opérées dans la société occidentale à travers les âges. Plus que de simples miroirs, les jeux, les sports et les loisirs sont étroitement liés aux fondements économiques, sociaux, culturels et politiques d’une époque donnée, ils en partagent aussi les mutations. La nouveauté première de cette rencontre est d’aborder conjointement ces trois thématiques en longue durée. On ne peut étudier les sports sans prendre en compte les jeux et les loisirs (Corbin 1995, Vigarello 2002), car ce qui est sport pour les uns devient un loisir pour les autres, mais aussi parce que certains jeux dits d’exercice et certains loisirs deviennent des sports au cours de la période. Le rôle de spectateur s’intègre à toute une série de pratiques de loisirs qui fondent de nouvelles formes de sociabilités. Si le sujet a fait l’objet d’études précises (Belmas, 2006, McCelland, 2008), la manière dont ces thématiques sont traitées souffre de la division des monographies entre les périodes historiques. Ainsi, malgré quelques études sur l’Antiquité, sur le Moyen Âge et l’époque moderne, les 19e et 20e siècles occupent la presque totalité de ces thématiques, à croire que ce qui se passait avant ne mérite pas une attention aussi méticuleuse. 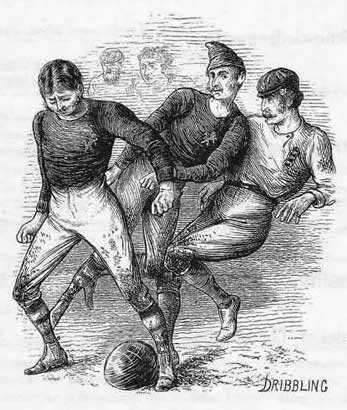 De manière synthétique et concise, ce colloque s’articulera sur quelques questions, simples, mais porteuses : quels étaient les jeux d’exercice, les sports et les divertissements en faveur à l’époque moderne en France ? Quand et comment ont-ils évolué ? Pourquoi certains jeux d’exercice et loisirs sont-ils devenus des sports? En quoi l’histoire de la diversification et de la spécialisation de l’offre de divertissement permet-elle d’éclairer les fondements de la société moderne et, de manière plus générale, la formation de la société du spectacle, mais plus encore la théâtralisation de mieux en mieux réglée d’une culture des loisirs. Talks and discussions: 2pm to 5pm. After a glimpse of the unexpectedly long history of import of medicinal plants from the tropics, this talk will focus on the 18th and 19th centuries. Drawing on examples from Kew’s archives and botanical collections, it will look at how European travellers learnt about what were (to them) novel remedies, how this information and sometimes the plants were disseminated, and the place of medicines from the tropics in British pharmacopoeias. The 16th and 17th centuries were the heyday of the great herbals and the start of the pharmacopoeias, both fuelled by the advent of printing. Physicians and apothecaries were expected to know the identity and uses of plants, and differed mainly in that physicians saw diagnosis of an illness was their prerogative, and that of making up medicines was the realm of the apothecaries. Through these two centuries physicians moved away from botany (which became a discipline in its own right) and began to uncover the real basis for illness; the apothecaries became manufacturers and dispensers. This lecture covers the nature of illness and its treatment with plants; and the rise and fall of the pharmacopoeia and the herbal; with reference to the contemporary literature. From time immemorial, mankind has used plants in attempts to increase or decrease fertility, to expedite childbirth and to relieve symptoms relating to the female genital tract. Modern pathophysiological concepts can start to separate those plants that might have been genuinely beneficial from those that were too toxic to justify their use and from those that were no more than placebos. Garden tour: will be taking place in between the lecture with a coffee break. Cost: The lectures are open to all and are free to RCP fellows, members and their guests; £10 per general public; £6 per students. We hope to recreate elements of a reform society meeting, so please bring a toast or song to share, historical or newly composed for the occasion! Reception in Hunterian Museum, Royal College of Surgeons (35-43 Lincoln’s Inn Fields)– Feel free to arrive as early as 18:00 if you want more time to look around. Le CERMES3 lance un appel à candidatures pour une thèse de sciences sociales portant sur la mondialisation de la tuberculose et les origines du dispositif de traitement DOTS, à réaliser à l’EHESS et financée par un contrat de recherche de trois ans dans le cadre du projet ERC « From international to global. Knowledge, diseases and the postwar government of health ». Le projet de thèse portera sur l’histoire du dispositif de thérapie sous observation directe (DOTS) qui est actuellement la référence utilisée par la plupart des acteurs de la santé mondiale impliqués dans la lutte contre la tuberculose. DOTS a pris forme dans les années 90 comme principal outil de contrôle d’une maladie considérée comme fléau global, négligée pendant de nombreuses années, associée à l’épidémie de Sida et comme moyen de lutter contre les résistances aux antibiotiques chez les patients pris en charge selon d’autres modalités. L’histoire du dispositif DOTS est celle d’une tentative pour mettre fin à une longue période de désinvestissement dans la recherche et l’accès aux traitements tant de la part de l’industrie que des organisations sanitaires internationales. Adoptée par l’OMS en 1995, la généralisation de la stratégie DOTS mobilise depuis vingt ans un réseau complexe incluant aussi bien l’Union Internationale pour la Lutte contre la Tuberculose et les Maladies Respiratoires que la Banque Mondiale, la Fondation Bill et Melinda Gates ou l’OMS. La recherche devra donc s’intéresser aux acteurs impliqués, aux formes de savoir qu’ils mobilisent, aux outils qu’ils ont construits et utilisent. Le/la candidat/e devra être titulaire, au moment de son inscription en thèse, d’un master recherche (ou équivalent) et avoir une formation dans l’une ou plusieurs de ces disciplines : sociologie, histoire, anthropologie, sciences politiques. Elle/il devra faire preuve d’expérience dans la réalisation de travail de terrain impliquant le recours aux archives, aux entretiens et/ou aux observations ethnographiques. Elle/il être familiarisé/e avec la littérature en sciences sociales de la santé et/ou en études sociales des sciences et des techniques. Une excellente maîtrise de l’anglais, oral comme écrit, est indispensable. Le dossier complet devra être transmis par email à l’adresse gaudilli@vjf.cnrs.fr ou Christoph.gradmann@medisin.uio.no en mentionnant « APPEL DOTS GLOBHEALTH » dans l’intitulé du message. Les candidats/tes seront informés/ées à la fin juillet 2014 des résultats de la sélection, qui se fera sur dossier. History of Toxicology and Environmental Health. Acquis en 1889 par le British Museum, l’Anonyme de Londres est, à ce jour, le plus long papyrus médical grec conservé. Daté du Ier siècle de notre ère et provenant peut-être d’Hermopolis, en MoyenneÉgypte, il contient un texte autographe où sont exposées et discutées de nombreuses théories nosologiques, étiologiques et physiologiques, qui ont pour auteurs au moins vingt-cinq médecins et philosophes, dont peu sont postérieurs au IVe siècle avant notre ère et dont plusieurs sont inconnus par ailleurs. 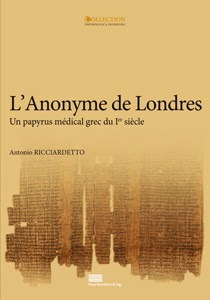 Après une introduction générale sur l’Anonyme de Londres, où sont notamment étudiés les circonstances relatives à la découverte et à l’étude du papyrus, ainsi que ses caractéristiques matérielles et son contenu, le livre présente l’édition critique, accompagnée de la première traduction française, des textes grecs du recto et du verso de ce témoin exceptionnel pour notre connaissance de la médecine et de la librairie antiques. Il est complété par deux bibliographies, l’une, relative aux textes du papyrus, l’autre, générale, par des index, en français et en grec, et par un fascicule de planches. Antonio RICCIARDETTO est titulaire d’une Maîtrise en Langues et Littératures Classiques de l’Université de Liège et Aspirant du Fonds National de la Recherche Scientifique. Il prépare actuellement une thèse de doctorat sur les papyrus documentaires grecs de médecine. Poursuivant des recherches dans les domaines de la papyrologie et de l’histoire de la médecine, il est membre du Centre de Documentation de Papyrologie Littéraire (CEDOPAL) de l’Université de Liège, où il collabore à plusieurs projets.